The Nar Phu Valley Trek with Annapurna Circuit is an adventurous trek with an opportunity to learn more about the culture of the natives. The Nar Phu valley is a stunning valley. 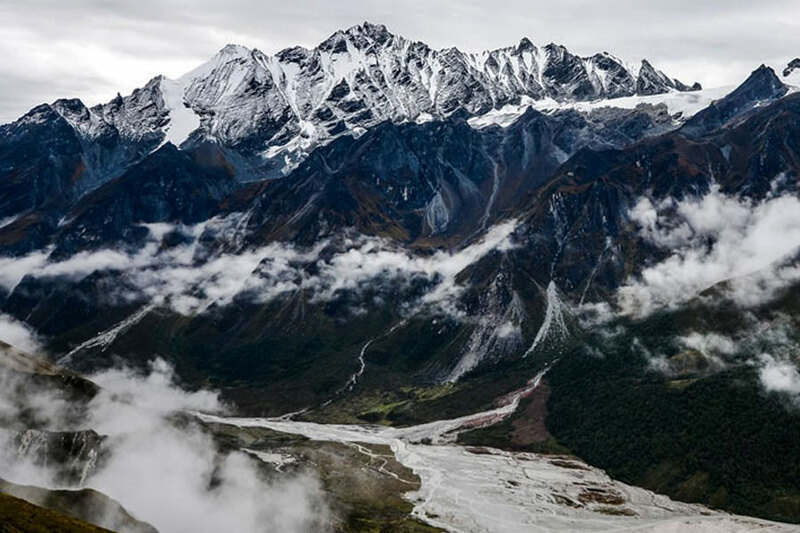 The trek offers a great view of the Himalayas and helps you bring closer to the mystical culture of people of the region who are ethnically Tibetan. The many highlights of the trek are the remote villages, narrow gorges, glaciers, beautiful forests, yaks, ancient gompas, and the great mountainous terrain. The trek is one of a kind. The trail is vivid; it covers the high mountain valleys above Phu, with Himlung Base Camp, and the crossing of the Kang La to Ngawal on the upper Pisang route to head towards the Annapurna circuit. That’s not it, from the trail continues further along around the Annapurna Circuit via the Thorung La pass to Lower Mustang. The journey completes here. A scenic flight from here leads to Pokhara. Pokhara is where the tired trekkers shall relax and rejoice before going back to Kathmandu. Overall, this is a spectacular trek covering many aspects of traveling through the Himalayas and more. After your trip to Kathmandu, We will pick you up and transfer you to your hotel. On the way you could have your first impress about Nepalese culture. ?Change of sceneries guaranteed. Sounds, smell, rickshaws, colours, street… You could have a rest in the hotel. It is a long way but on the roads both tarred and earth-surfaced, but you won’t be disappointed. You will discover the beautiful countryside of Nepal. Lush greeneries, villages, farms, rivers, lifestyle of local people in the streets and the panoramic view on the Himalaya range. This first trekking day will combine steep climb, rocky trail, relaxing walk in forest, waterfalls and crossing rivers on suspensions bridges with the Annapurna range around us. Upon reaching the village, it will be your first experience with inhabitants of Himalaya. The first hour of the trail go through pine and fir forest to Bagarrchap, where you could visit the white monastery. 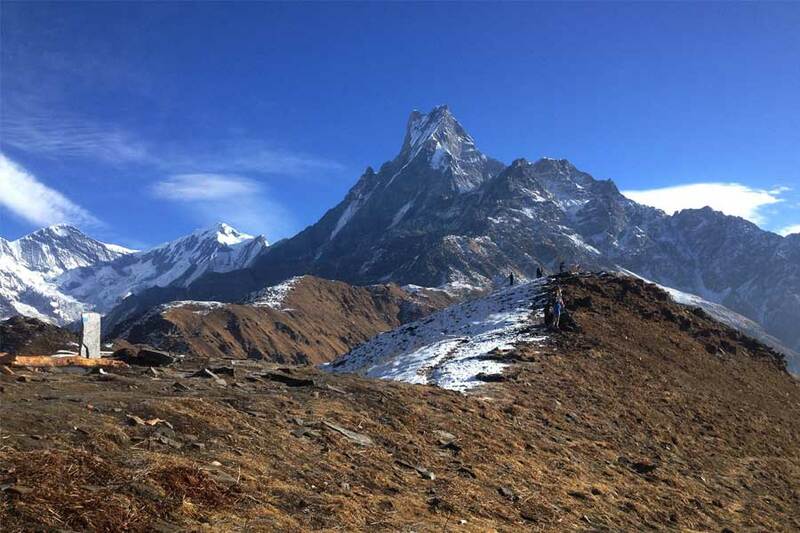 Afterward, we will walk on the steep climb, forests areas with beautiful wild flora and through small villages, which offer a good view of the Manaslu and Ngadi Chuli peaks. We keep walking until to get Koto village, located edge to the Marshyangdi River. After crossing suspensions bridges, we will walk along the Naar Phu River. Further, as you could see, the rivers running their way, gave birth to narrow and steep gorges before to enjoy the panoramic view of Lamjung Himal Peak, which Dharmasala village offers. In Shanskrit, Dharma means «religion», and shala means «sanctuary» hence dharamshala is a religious sanctuary or rest house for pilgrims. After the first hour of the trek, there is a steep climb that leads Metha. A small village with stone houses and located at the perfect place to admire the incredible view of the Annapurna II and Lamjung. Once, Metha was the refuge for Khampas warriors from Tibet after the invasion of China and before Nepalese military intervention. The trail keeps going along the Phu River with a nice view on the glaciers. We have to walk through another village and cross the Labse River. The presence of stupas, tell us that we are in Tibetan soil. Upon arrival in Kyang, you will get out your camera to capture the nice view of Pisang Peak, Tilje Peak, Gyaji Kang and PokharanHima. Even now we following the river… Keep your eyes open, we usually can see some «naur» called Himalayan Blue Sheep. After a steep climb we will get the first entrance door of Phu, where there are some ruins and a big «mani» (engraved stone). We keep going more further, we crossing a river on a major bridge before to get the big entrance door of Phu Village. The Narphu Valley Trek is not only for walking, it is also?an unforgettable trek through villages and lifestyle in the Himalaya. Today, you could spend the day exploring the village and experience differenent cultural practises. Moreover, you could also visit Lakhang monastery, which is one of the oldest monastery in the world. Today we will cross many streams on suspension bridges, but one of them is 80 meters above the Gorge of Latche River. A guaranteed strong sensation. The trail steeply ascends passing many Buddhist stupas. Nar Village provides many Buddhist Monasteries as well as a very good view of Pisang Peak and other small peaks. Today, You will explore the Nar Village and Monasteris. The trek will start with a steeply ascends trail to get Kang La Pass. The reward will meet all your expectation. An unforgettable and beautiful view on the Annapurna range.Get out your camera and admire the beauty of the Himalaya. Afterward, the trail will descend to Ngawal. It is an easy and relaxing day with a downward path. 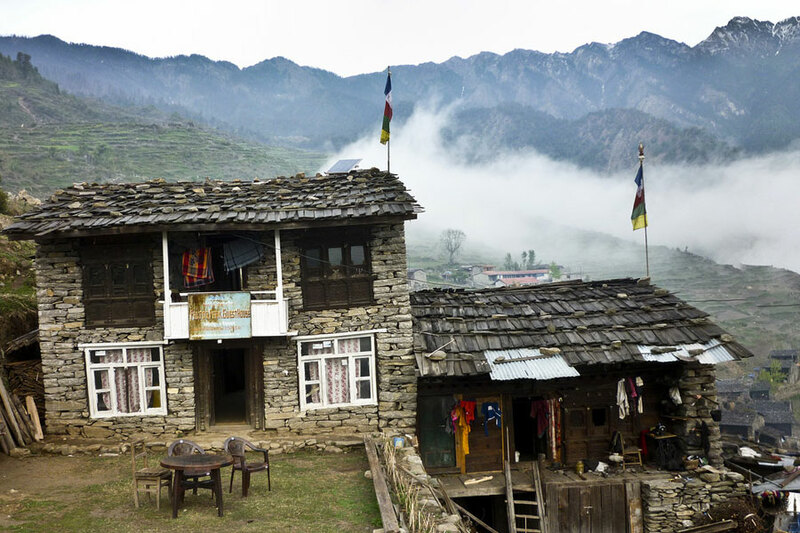 Manang is a famous village on the area, which provides many lodges and tea-house for trekkers. Today, you could relax your muscles and enjoy a free day in Manang Village. A good opportunity to share and understand the lifestyle on the mountain or to explore surrounding area, visit Buddhist monasteries. If your body is feeling good, you could hike to Ice Lake or Tilicho Lake. We start the trek by a gentle uphill climb to Yak Kharka. It is pretty easy trail without any steep climbs though high altitude. We will pass two small villages called Tengi and Gunsang and crossing couple of suspension bridges. To Thorung Phedi, the trail is mostly flat but there is one steep ascent part where we have to be carful of stones falling. You can stop here or continue for another 40 – 45 minutes to reach the high camp, which is about 400 meters higher than Phedi. Today, it is a long trekking day. We will start early after the breakfast. The walk can be slippery so we have to be aware of risks but the view around us is amazing with some huge white peaks. We will get the highest point of the trek named ‘Thorong La’. It won’t be difficult to recognize the pass as it’s surrounded by praying flags. After this new reward offered by the beauty of Himalaya we will walk steep downhill towards Muktinath. It’s our last trekking day. An easy mostly downhill trail but it offers a last nice view on the Nilgiri peak. Jomsom is usually the last village for many trekkers. Buses and plane are available to reach Pokhara. Once arrival in Pokhara, we will transfer you to your hotel. You could have chosen to have a rest after the efforts that you made during the trek or visit Pokhara. We will give you all the advices and manage your day, as you want to enjoy your short time in this beautiful city. As on the first way you could enjoy the beauty of the countryside, green hills and thundering rivers. The bus will drop you to your hotel. It will be a free time if you want to visit the surrounding area. We will transfer you to the airport and hoping you spent a beautiful time with us in the Himalaya. Trekking equipment (two men tent, dining tent, kitchen tent, Table with chairs, kitchen utensils, Down sleeping bag / Jackets, walking sticks, and other necessary equipments during the trek). 2 nights accommodation in Kathmandu at 3 -4 star Nepalese standard hotel. 1 night accommodation in Pokhara at 3 -4 star Nepalese standard hotel. Twin sharing accommodation on tents/lodges during the trek.